We're talking about slashing Tesla's 30-minute charge time in half. Over the past few months, Honda has released not one, but two EV concepts destined for production. The first will be the Urban EV in 2019 and, assuming all goes to plan, the Sports EV sometime thereafter. The latter is exciting because it could become the EV spiritual successor to the S2000. But when there are EVs, there needs to be places to charge them other than owners’ garages. According to the Japanese language Nikkei and first blogged by CarAdvice, Honda is gearing up to launch EVs with a 15-minute fast-charging capability by 2022. To accomplish this, Honda is developing a new type of high-capacity battery that, first of all, will be capable of handling quick charging. Honda will team up with a so far unannounced technology partner to make that happen. This new battery and its associated technology will also be more efficient and thus maximize driving range. At the moment, Tesla currently has the fastest charging time of about 30 minutes. This is also due to its advanced supercharger technology. Honda, obviously, is fully aware of this benchmark. Beginning in 2020, not long after the Urban EV hits the road, Honda will be able to benefit from Europe’s upcoming network of 350kW fast chargers. To compare, Japan’s current fast chargers have a maximum output of 150kW. Honda is working fast to get its new battery tech ready for Europe’s also new charging network to coincide with its upcoming EV model lineup, which includes the Urban EV. 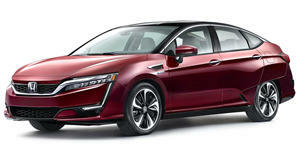 Assuming Honda sticks to schedule (and it usually does), this could possibly become a game-changer in the EV industry.